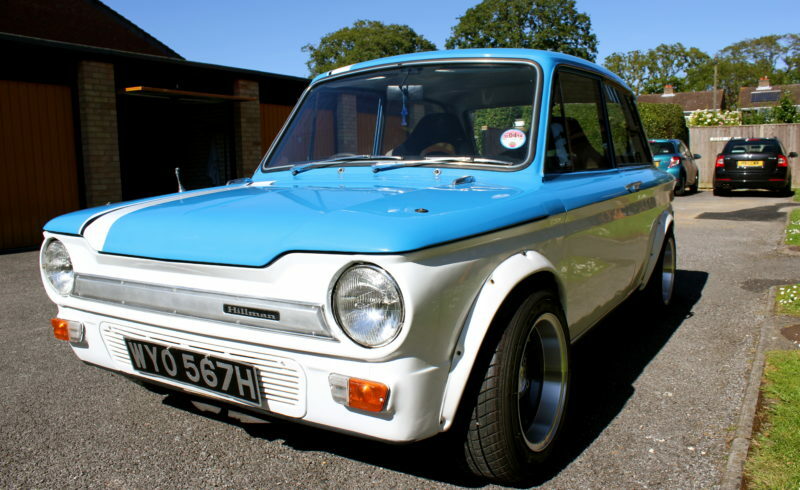 As you may notice this is not your ordinary Hillman Imp, It has had many improvements including the Mini Style alloys with 4 new tyres fitted, The Wide arch body kit and the sports bucket seats. It has had New spark Plugs, Ht leads and coil pack fitted as well as the electronic ignition system. It is a 1969 Imp “Super” model with only 3 previous owners. We have a good amount of service history with the car and quite a few old mot’s etc. It will come with 12 months Mot and 12 Months Tax. The Imp is a fun drive and always gets admiring looks wherever you go, the prices are increasing of these charming little cars as fewer and fewer are left on the road. We also have twin Carbs, The Original bumpers and original wheels which could be included in the sale.